After the horrific Amtrak crash in Philadelphia earlier this week that killed eight people, it’s natural for railroad officials, regulators, and the public to reflexively search for something to do. Tragedies like this shouldn’t happen, and it’s natural to want to respond with some sort of action that ensures they don’t. A lot of discussion in that regard seems to focus on the implementation of Positive Train Control (PTC), a technology that’s designed to slow or stop trains when crews ignore signals and speed limits, and that railroads are already mandated to start using soon. The general consensus is that a functioning PTC system would have stopped Amtrak Northeast Regional train 188 from entering a 50 mph curve at the 100 mph investigations indicate it was traveling at. That seems fairly definitive, but the discussion shouldn’t end there. Today we’re used to jumping to the conclusion that technology is the only answer, but perhaps as much because of its flashiness as its superiority. 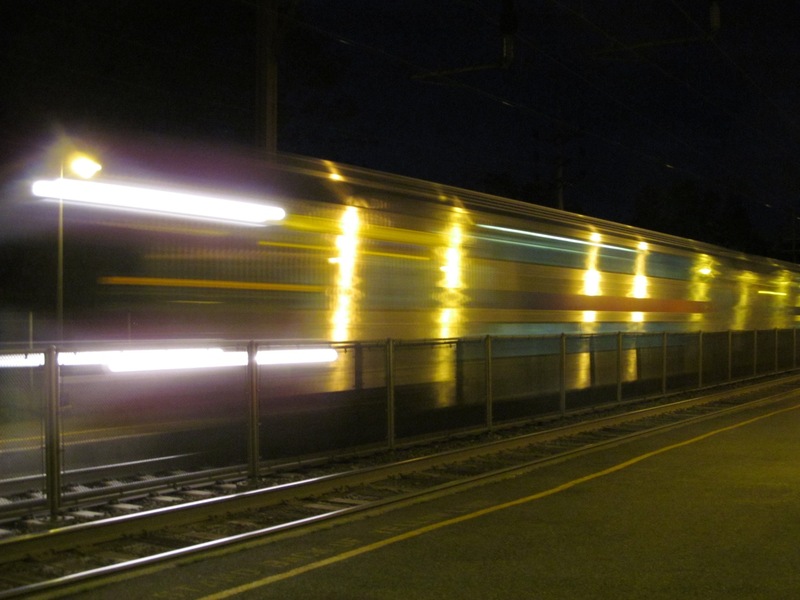 PTC uses sensors, wireless, signals, and control computers to determine a train’s position and speed, decide whether said train is operating within acceptable parameters (i.e., obeying speed limits and signals), and can slow or stop a train if necessary. The Federal government requires all major railroads to put PTC systems into operation by December 31, although the industry has repeatedly said that deadline is unrealistic. Legislation has been introduced to extend the deadline by varying amounts. Congress passed the mandate as part of the 2008 Rail Safety Improvement Act, and it’s been vigorously debated by politicians and industry personalities since then. But it’s only recently been brought to the attention of the broader public by the Amtrak crash, as well as another deadly crash back in December on the New York-area Metro North Railroad. That’s led to headlines like “Could technology have prevented the crash?” (CNN) and “Speed control technology could have stopped Amtrak derailment (NPR), which appear to frame the debate purely in terms of why a life-saving technology wasn’t available. In an age where we look to Apple and Google to save the world, and our phones, tablets, smartwatches, and other digital ephemera to run our lives, that’s a comfortable perspective. But it’s also problematic. Because while Congress requires railroads to deploy PTC, the regulations don’t comprise a technical standard. PTC systems exist–Amtrak already uses it on the Northeast Corridor where the crash occurred–but none that have proven to be interoperable across all railroads and all pieces of rolling stock. In 2013, former National Transportation Safety Board Chair Deborah Hersman remarked that it took NASA less time to land a man on the moon than it’s taken railroads to implement PTC. At that’s despite the major freight railroads spending over $5 billion to date on PTC. Amtrak and state and local government-operated passenger carriers are getting massive infusions of cash as well. Earlier this year, the U.S. Department of Transportation tentatively approved a $976 million loan to New York’s Metropolitan Transportation Authority to cover PTC installation on Metro North and the Long Island Railroad, according to Trains magazine. Over the past few years, Congress has shown consistent hostility when it comes to merely approving a budget for Amtrak. PTC will likely require additional infusions of cash into railroad infrastructure; will it really show enthusiasm for that? But there is an alternative to the technical and financial challenges of PTC. The crashes that sparked interest in PTC all have one thing in common: lone engineers in the cabs of speeding trains who all got distracted or otherwise incapacitated. So why not just put a second person in the cab? Like a copilot in an airliner cockpit, a second crew member in a locomotive cab could act as a backup. And unlike PTC computers, railroads already have a pretty good idea of how to train humans for this job. But adding ensuring that there are two people in the cab of every train will still cost money, and like most other businesses, railroads don’t generally like to hire more people than they feel they need. Two-person crews are still required for freight trains, but there’s already talk of eliminating that requirement when PTC goes live. So in a way, PTC and expanded crews sit in opposition to each other. Regulations and the constant search for costs to cut mean the public could have to pick one or the other. And even though it’s the simpler solution, expanding crews will likely lose out to PTC. Positive Train Control is simply the more dramatic solution. It makes for a better story, fits in with the current technological zeitgeist, and catches the public’s attention. Simply hiring more people isn’t very dramatic, or disruptive, or any other Silicon Valley buzzwords, even if it might be the better solution. We’ll probably never know. Congress has already committed to a PTC mandate, and railroads have already spent billions of dollars on it. It’s also much easier to sell the public on a magic technology than the competence and effectiveness of multiple human beings working together. This entry was posted on May 18, 2015, 5:36 pm and is filed under Technology. You can follow any responses to this entry through RSS 2.0. You can leave a response, or trackback from your own site.